A teenage boy has appeared in court accused of slashing a pupil at a West Lothian secondary school. The youth, aged 13, appeared on petition at Livingston Sheriff Court today (Tuesday). He was faces a total of five charges in connection with an incident in the dining hall at St Kentigern’s Academy in Blackburn last Friday morning. He made no plea and was freed on bail after spending a long weekend in custody at St Mary’s Kenmure secure unit, at Bishopbriggs, near Glasgow. 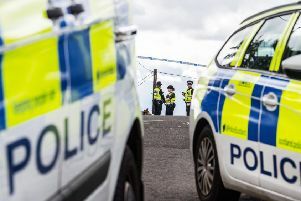 The accused, who lives in West Lothian, was charged with assault to injury and assault to severe injury and permanent disfigurement. He was also accused of threatening or abusive behaviour, having an article with a blade or point in a public place and attempting to defeat the ends of justice. He is expected to make a second court appearance to be committed for trial next week. Police said on Friday that they had detained a youth after a 14-year-old boy suffered a serious facial injury after being slashed with a knife in the school canteen. Around 200 people are understood to have been present in the communal area when the alleged assault took place just before 9am. The alleged victim was taken to St John’s Hospital in Livingston for treatment. Parents expressed shock and concern that an article such as a kitchen knife could have been brought into school.